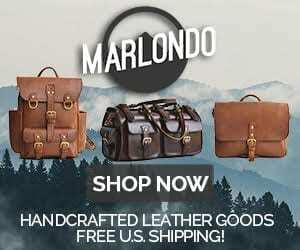 We love to talk about the superiority of hand-stitched leather products, but why exactly is this the case? Often times, machines can run circles around humans when it comes to speed and precision. But with many aspects of leather crafting, this just isn’t the case. When a sewing machine is used to stitch two pieces of leather together, that line of stitching uses two separate pieces of thread that twist around each other in what is known as a “locking stitch.” If any piece of the thread snaps on a locked stitch, the entire thread can unravel, ruining the seam and compromising the strength of the product. A hand-sewn saddle-stitched line uses a single thread with needles on each end. The thread is pulled back and forth on either side of the leather in what is called a “running stitch.” This gives the seam extra strength and longevity. Often, the two pieces of leather are placed together then grooved or punched through in order to keep the stitch aligned and embedded in the leather for more durability. Check out the video below for a visual example of saddle stitching. 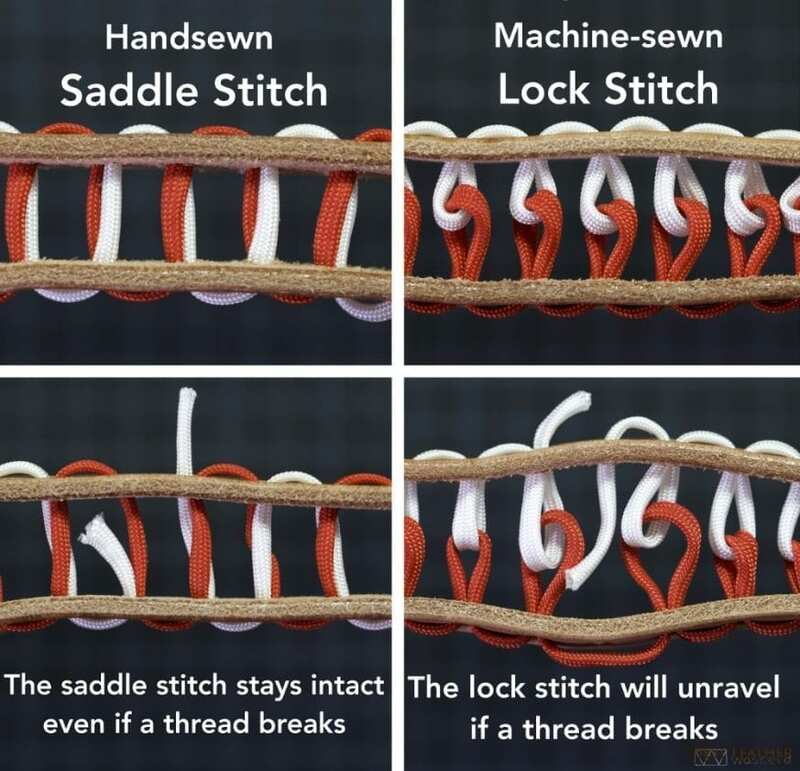 If the thread breaks on a saddle-stitched piece, the thread won’t unravel because the other side holds the seam together. This technique has been around for centuries, and takes a lot of time and practice to perfect. The saddle-stitch is most commonly used on edges and can only be done by hand due to the complex nature of the stitch. Yet another reason it makes sense to pay a premium for hand-crafted products made by artisans who care deeply about their work. Student, wife, graphic designer, writer, reader, traveller, hiker, cat lover, and coffee addict. I love products that have a minimalist and timeless look, as comfort, functionality, and quality are most important to me.